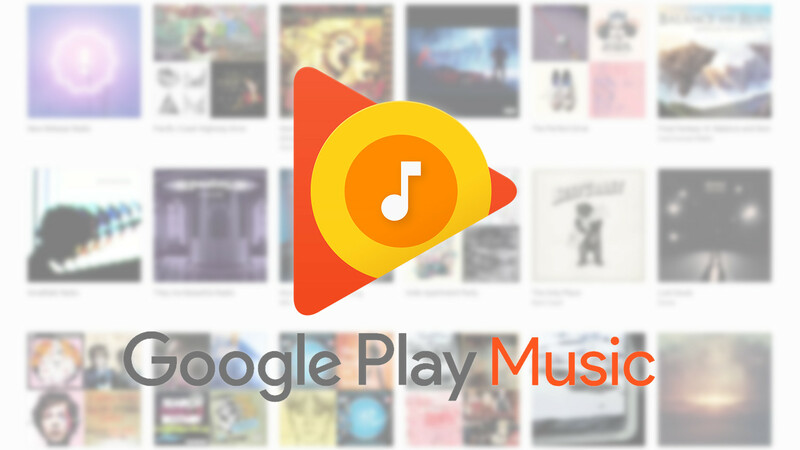 Looking to migrate your Google Play Music subscription to YouTube Music? You may want to hold off if you have Kidz Bop listeners (read: children) linked to your account. Following your transition, those accounts will no longer be functional. One particular Google Play Music user shared this peculiarity with us in an email. Following an upgrade to YouTube Music to include premium, ad-free YouTube with their subscription, the music app was subsequently blocked for their two children's accounts. Following the migration, there's no way to access playlists or play music at all. The account owner cannot install YouTube Music as an alternative, as it doesn't support child accounts, either. When contacting Google support, the user was informed that in these cases the content restrictions for YouTube apply to Google Play Music as well, which essentially means you can opt for ad-free YouTube or allow kids on the Google Play Music subscription to listen to their own songs — but not both. It's not a choice parents should have to make, obviously, but one that it appears users may be faced with going forward. According to the Google for Families support page for Google Play Music, kids should be able to access the service even if they're under the Family Link umbrella. The requirements note that the main subscriber must be 18 or older, but do not offer any further restrictions. 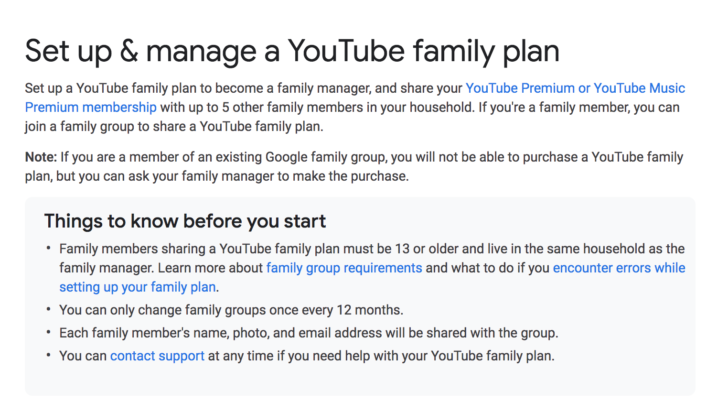 Under the "My child can't use the family music plan" header, the support page states that your kids can indeed use your family music plan if they have the Google Play Music app installed. If they can't see the app installed while on an Android device, it's possible the app needs to be unblocked, the blurb advises. 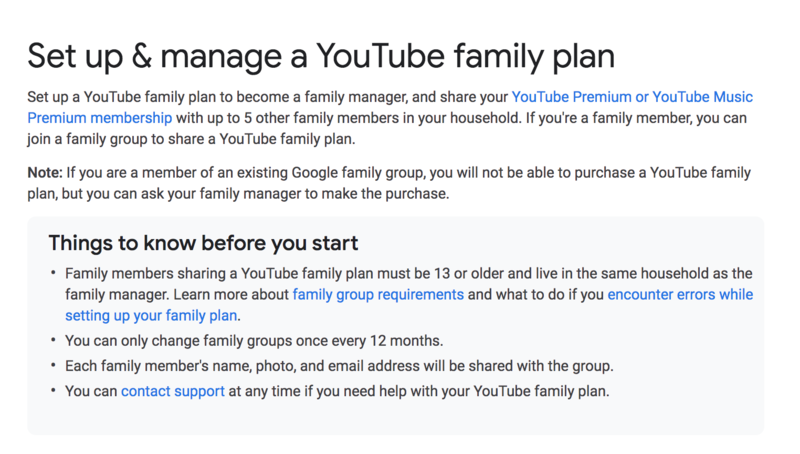 If you look at the YouTube family plan support page, the only age restriction listed is that family members sharing a plan must be 13 or older and live in the same household as the family manager. However, buried deeper within the Google For Families help page is an article with some useful information. It's listed under the "How YouTube Works" heading and states that the only YouTube service kids under 13 can access via Family Link is YouTube Kids. This excludes YouTube Music and the rest of the services on the platform. It doesn't appear that there's a way to fix this at present, so if you're planning on migrating to YouTube Music on a family plan from an existing Google Play Music account and have kids under 13, you might want to hold off on doing so for now – or else you'll be dealing with some very unhappy fledgling audiophiles.